Register for the Wichita Easter Egg 5K & Lil' Bunny Fun Run today! Join us for the inaugural Easter Egg 5K at the First United Methodist Church at 330 N. Broadway Street, raising money for the First United Methodist Church and their programs to support Park Elementary and Washington Elementary Schools. 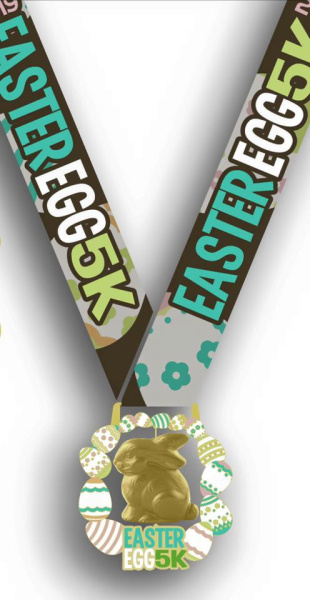 This fun family event includes a 5K and kids run and all participants receive a finishers medal! Sign up early to save money and form a team of four or more and invite your family and friends to join you to save even more! Not able to make it on race day but want to share in the experience and support the charity partner? Sign up to participate as a virtual registrant and we will get you a race shirt, finishers medal and race bib number. Packet pickup will be on Friday, April 12 from 2-6pm at First Gear Running Company 111 N. Mosley in Old Town, and on race day, beginning at 6:45am. The charity partner for the Easter Egg 5K is the First United Methodist Church and their programs to support Park Elementary and Washington Elementary Schools.